When I first heard of this deal the first thought that entered my head was “divide & conquer.” This has been a chief weapon for the US Empire, and its presence here is instantly clear. Well thought out article that fleshes out many details. I’m also wondering about a personal type of issue – is this engendered in part by jealously of Raul toward Fidel, who of course has eclipsed his brother for the 50 years of this revolution. I truly hope there are chances to undo much of the harm this deal is sure to bring Cuba and the spirit of the Bolivarian Revolution. This is an era of faking, remember that. If an ordinary person gladly lies on his resume, what makes you think that politicians don’t lie to each other as well? In my opinion, Cuba is playing an extremely dangerous but cunning role of a double-agent. On one hand, they support communism and they support Russia’s attempts at sovietizing Eurasia and creating socialist allies. On the other hand, they feign peace with the USA in order to distract American and its resources. 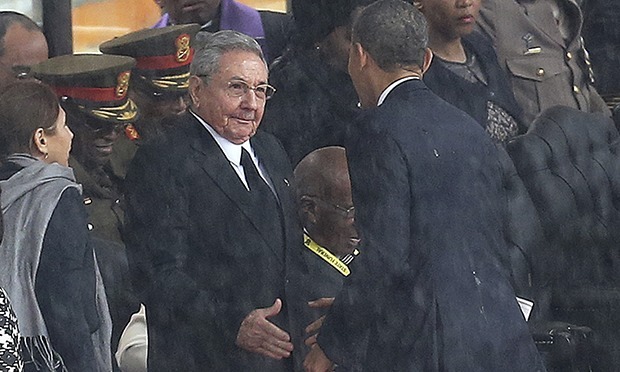 Raul shaking hands with Obama or announcing that he’d gladly make peace with the “Empire” means nothing. Chavez and Fidel Castro have also shaken hands with US presidents before and have said the same thing. Fidel even invited Jimmy Carter to Cuba and had dinner with the Kennedy clan (minus JFK). Politicians often make use of diplomacy, tact and acting skills because they play a dangerous, global game. 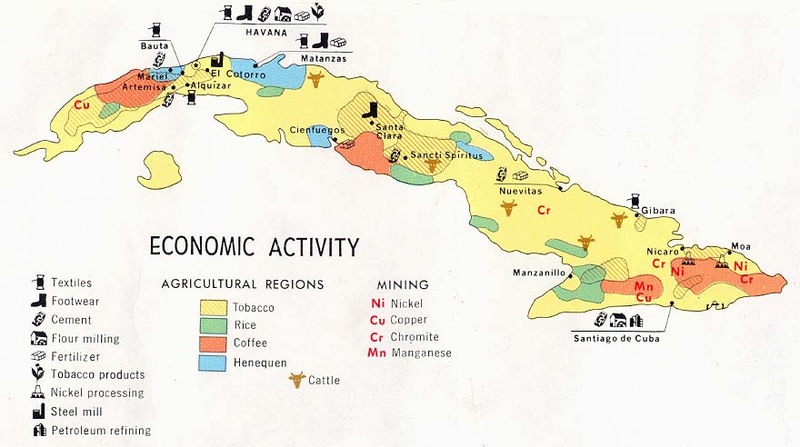 Cuba is in no way coerced into an economic corner. 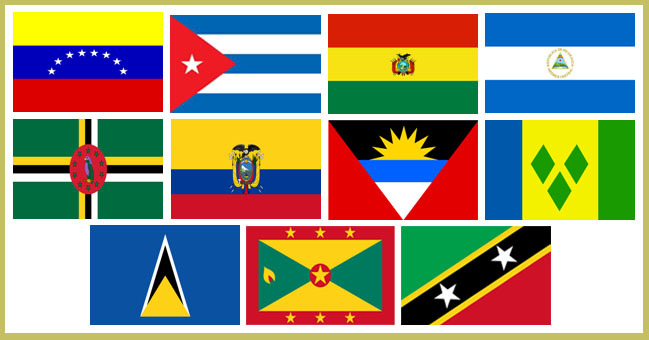 I’ve been following various Cuban and Central/South American journals for years, including economic, and I keep my eye out for articles and speeches made by the Castros. I’ve read Fidel’s biography with Ramonet and he explains a lot about the history and the current approach of Cuban politicians and their policies. Firstly, Russia hasn’t forsaken Cuba. Putin appeared to have betrayed Cuba when he removed Russian bases from the island, but Medvedev soon made friends with Cuba again after promptly re-installing said bases. 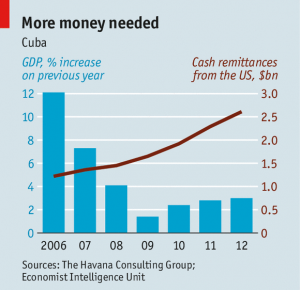 Even amidst sanctions, Russia still supports Cuba economically. Two years ago the Cuban economic minister said that in view of the global financial crisis, the country will take some austerity measures. These measures were: less toilet paper on the market and no more free weddings or feasts in churches or on holidays. Aside from that, Cuba doesn’t really have further economic trouble — except for the lack of cars and building materials, which Cuba already has gotten used to over the past fifty years. Secondly, USA has more to gain from allying itself with Cuba than Cuba with the USA — financially, that is. Texan farmers continuously complain that, ever since Bush overturned the contracts that Clinton made with Cuba and North Korea pertaining to the purchase of foods, textiles and other commodities, American farmers have lost a large amount of profit because they have nobody to sell beans, rice and peanuts to. 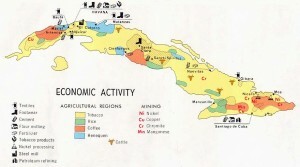 American celebrities such as Jay-Z have expressed interest in investing in Tropicana and such tourist enterprises in Cuba, which isn’t illegal in Cuba (Fidel explained that in Cuba one cannot outright buy a high-profit hotel or tourist resort, but one CAN invest foreign money into a resort and, like a shareholder, have a say in administration and management). However, it IS illegal for Americans to make such deals because of US law. A lot of non-American companies lose money from the absurd sanctions that Americans have placed on Cuba — such as a certain French/Canadian/American cheese company that was forced to pay a hefty fine for cavorting with Cuban supermarkets. Thirdly, Venezuela hasn’t made itself an enemy of Cuba and cut its oil subsidy out of blind fury. Cuba has recently started their OWN oil projects, because together with researchers and engineers from Russia, Cuba has discovered the possibility of oil existing on their territory. As for the release of the Cuban Five, Cuba is relatively unconcerned. Raul and Fidel Castro have already stated a long time ago that they consider the arrest of the Cuban Five to be fair, since technically the Cuban Five WERE spies in a country that didn’t give permission for them to operate in, even if they weren’t operating against the government. 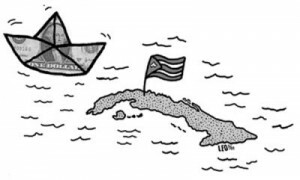 To say that Cuba has surrendered to the USA is a hysterical knee-jerk reaction. I understand that you’ve probably sympathized with Cuba in the past, but this whole situation looks reminds me of a husband being insanely jealous and saying bad things about his wife just because he once saw her smile in the general direction of a guy he doesn’t like. It’s obviously a bad attitude to have, and with such an attitude, any and every that Cuba makes will appear treacherous. If a guy is insanely jealous of his wife, regardless what she says or does he’ll accuse her — that’s how Othello got started, and that’s how badly he ended up. I have complete faith in Raul and Fidel Castro and in Cuba as a whole. Only a few years ago Cuba had executed a corrupt individual in government. Raul Castro was the best friend of Che Guevara and one of the brains behind the anti-Battista operation in the first place — he commanded his own squad of well-trained revolutionaries when taking the mountain base in that fateful adventure. You cannot compare him with Yanukovich, because that fellow never did half the things for Ukraine that Raul did for Cuba. They’re two completely different people in different situations.